Don't worry, you'll be acquainted with the insides of a bipedal space-horror soon enough. The more games released about space and the dangers therein, the more I start to wonder if Elon Musk and Co. should maybe focus on exploring more domestic arenas, like IKEA stores or North Dakota. 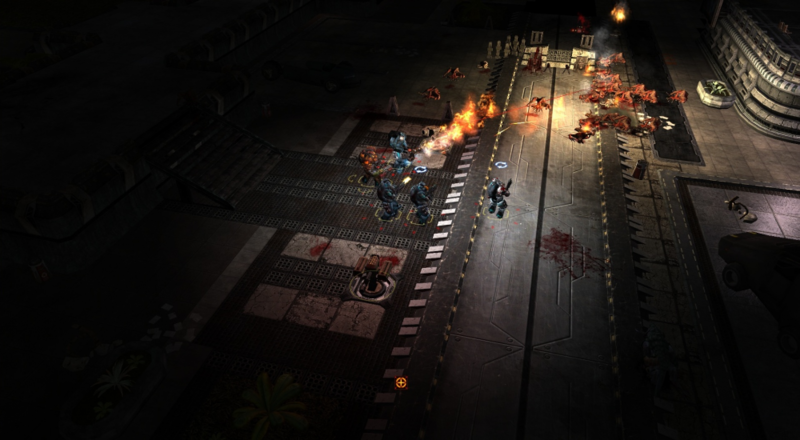 The Red Solstice, an 8 player tactical co-op shooter coming out of Early Access on July 9th, provides even more reasoning why space just ain't worth it. As I mentioned for one of their previous updates, Red Solstice's universe is straight up terrifying, and the folks at Ironward are working their hardest to make sure it stays that way. As you brave the inevitable dangers of space, you'll be assuming the role of one of eight different classes. Ironward just released a couple quick videos to give new players a sense of what two of the game's classes are capable of, and how they should be utilized. Not that it matters, of course. When a hissing space-worm bursts through the ground five feet in front of you, you'll just be glad you didn't pick the Pants-Messer class. First up is the Assault, your typical average soldier who's capable (if not especially great) at most everything. The Heavy is where things start getting specialized, as they require a bit more foresight for efficient use. Things are looking pretty banging for The Red Solstice these days, which is good considering how soon it'll be a fully-fledged product. In case some gameplay footage would help you decide on whether or not you want to test your mettle on the Red Planet, check out our video of earlier stages of the game.